Jacksonville, Florida, home of the "World's Largest Cocktail Party" every year, is a wonderful city to live in. The Dogs and Gators add energy each year as they do battle on the gridiron here. But like any other city, there is crime. Keeping your loved ones safe and secure is always job one. The way to accomplish that task is to equip your home with a monitored burglar alarm. Once it’s set for the day, leave your home and belongings with the assurance that you’ve done your best to safeguard against burglary. In the evening, setting the alarm allows you a good night sleep. You’ll know you’re safe from an undetected home intruder. If intrusion is attempted, an alarm will allow you the time to react appropriately in dealing with the situation while help is on its way. Chances are the intruder will be frightened away at the first sound of the alarm. We live in exciting times. But they can be treacherous as well. 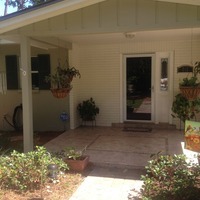 Alarm monitoring in Jacksonville is a must when it comes to protection. A monitored alarm system removes most of the threat from predators that would harm you and your loved ones. 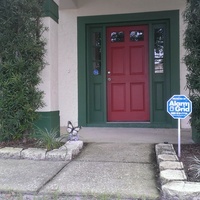 How do I get an Alarm Permit in Jacksonville, FL? License Number: 472 The city of Jacksonville requires that alarm companies register with the Sheriff's office in order to monitor alarms within their jurisdiction. 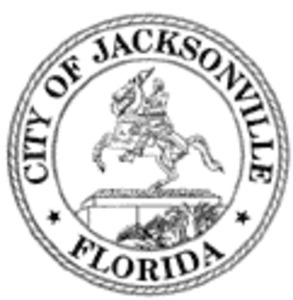 Alarm Grid is in compliance and has been approved to monitor alarms within the city of Jacksonville.